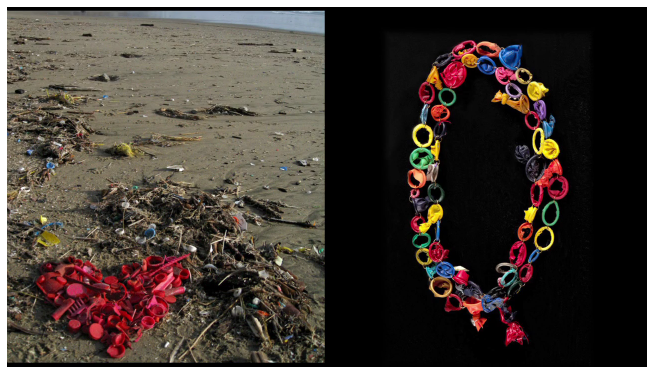 Richard Lang and Judith Selby Lang have been collecting plastic debris off one beach in Northern California for over ten years. Each piece of plastic Richard and Judith pick up comes back to their house, where it gets cleaned, categorized and stored before being used for their art. The couple make sculptures, prints, jewelry and installations with the plastic they find washed up, raising a deeper concern with the problem of plastic pollution in our seas.